귀하의 이메일 주소를 입력 Tsar 관련 뉴스 및 업데이트. The rock group TSAR is back. 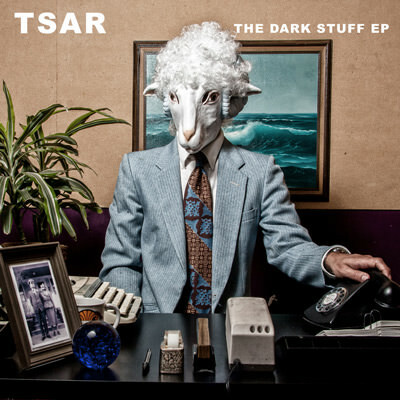 TSAR were formed in Los Angeles in 1998 and quickly planted their flag in the name of a new kind rock at the center of the exploding Silverlake music scene. Garage rockers, punks and glam babies alike flocked to eastside clubs to catch TSAR's bombastic live performances and catchy power pop/punk songwriting. Tsar, then and now, features Jeff Whalen (Vocals, Guitar), Dan Kern (Guitar, Vocals), Jeff Solomon (Bass), Steve Coulter (Drums). A bidding war resulted in a major label signing (Hollywood Records) and a record produced by a Grammy-winner. Despite all that, the 2000 debut is a stunning combination of hooky rock swagger and majestic balladry that you have probably never heard. The band began work on their follow-up record in 2003, eventually booking time in a Silverlake studio slated for demolition the following week. The result was the decidedly darker "Band-Girls-Money," released in 2005 (TVT Records). Through it all Tsar continued to play around LA with bands like Jet, The Walkmen and Social Distortion, and toured with Duran Duran, the New York Dolls, Marvelous 3, and Eve 6, among many others. Live television appearances included multiple performances on CBS' "The Late Late Show". TSAR's music has recently been used in computer games (Burnout Revenge & Burnout Legends, 2010) and featured in the title sequence of a Hollywood movie (Super, 2011). The Dark Stuff EP is out now!